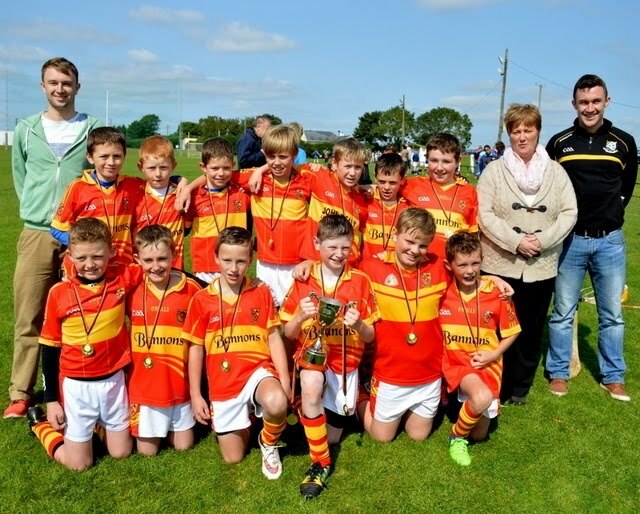 Pictured are the Moycarkey Borris Under 10’s who participated in the Under 10’s Shane O’ Neill Memorial Tournament at Danesfort GAA Club in Kilkenny. The panel pictured with members of the O’Neill family, played very well in the group stages accounting for Thomastown, Emeralds and Dicksboro to set up a ‘A’ final with Ballyragget. The only team from outside Kilkenny played a stormer in the final to lift the Shane O’ Neill Cup. Congratulations to the team on a super performance.